SUNRISE, Fla., Dec. 06, 2018 (GLOBE NEWSWIRE) — Beta Music Group, Inc. (OTC Pink: BEMG) announced today that its CEO Elizabeth Karwowski was nominated and selected to the 2018 National Mortgage Professional Magazine (“NMP”) 40 most influential mortgage professionals under 40. From a group of over 100 nominations of very qualified mortgage professionals from all over the country, NMP chose BEMG CEO Elizabeth Karwowski as one of the 40 most influential mortgage professionals under 40. 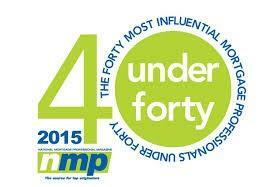 “This is a tremendous honor to be nominated and selected to NMP’s 40 most influential mortgage professionals under 40. At Get Credit Healthy, we strive to help our Clients participate in the American Dream of either qualifying to purchase a home or to get a better interest rate for a loan to purchase a home. At times in life, we all need a little help,” stated Elizabeth Karwowski, CEO of BEMG.